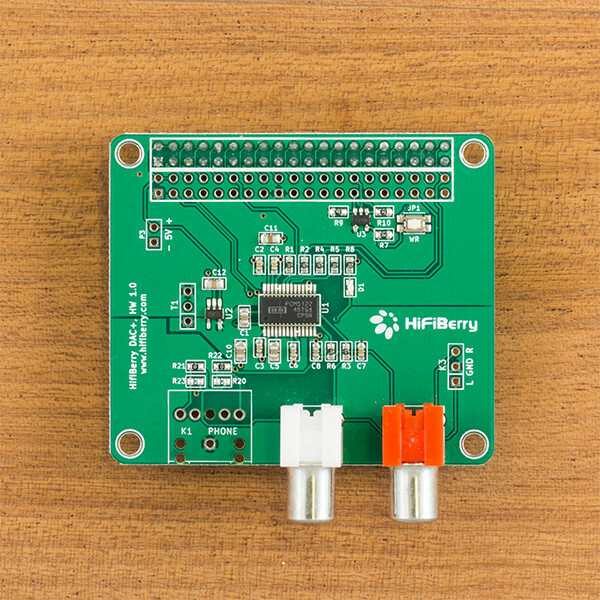 Our most popular board dramatically improves the audio performance of your Raspberry Pi. It comes in different versions. All of them can be connected to an external amplifier or active speakers through an analog audio input. Our best-value board, slimmed down to the essentials. The standard DAC+ brings high-quality sound to your home. The DAC+ version for true audiophiles. 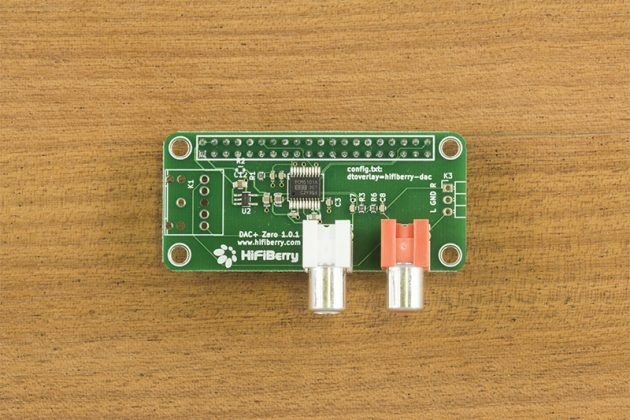 Our smallest DAC in the Raspberry Pi Zero form factor. 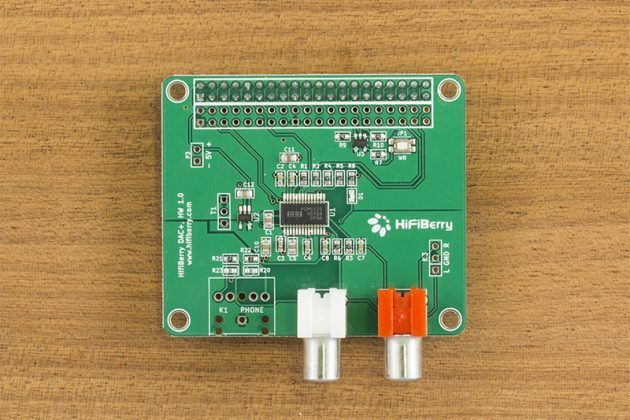 The HiFiBerry DAC/DAC+ is a high-resolution digital-to-analog converter for the Raspberry Pi. 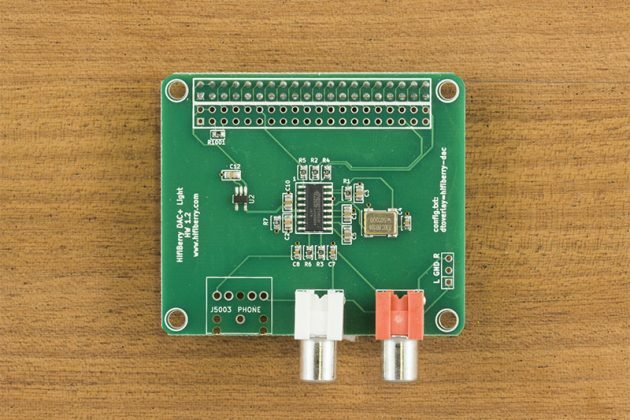 It’s available for every Raspberry Pi Model—just pick the right board that matches the motherboard you want to use. 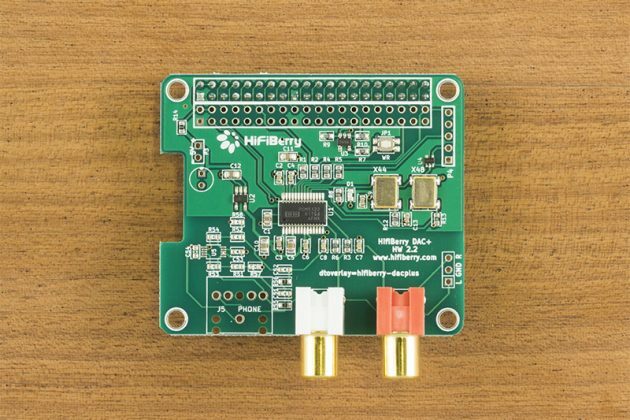 The board conforms to the Raspberry Pi hardware-attached-on-top (HAT) specification. Gold-plated connectors: Gold-plated RCA connectors ensure optimal connection to your RCA cables. Dual-domain clock circuit: The DAC+ Pro uses its own on-board low-jitter clock generator. To have the lowest jitter values, there are 2 different clocks on board: one for 44.1/88.2/176.4 kHz sample rates and another for 48/96/192kHz. Hackable: The board can be modified to allow external power supply for the analog part of the board. Also you can connect external I2S DACs. These features need soldering on the board. This will void warranty, but real hardware hackers have no problems with this.